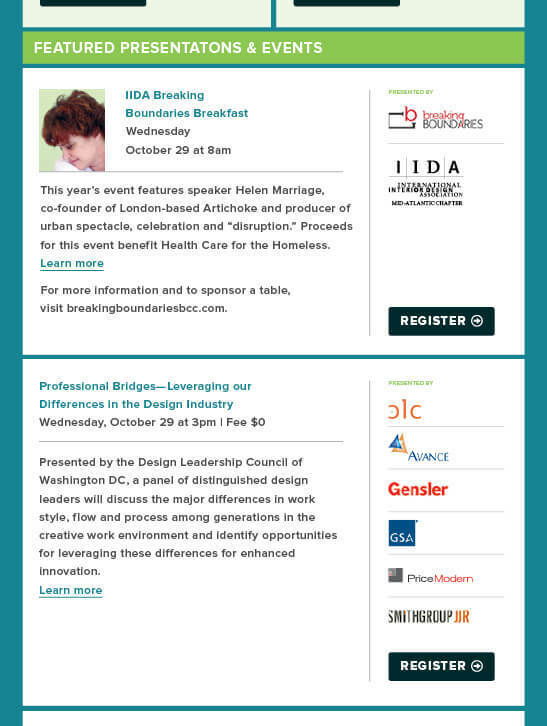 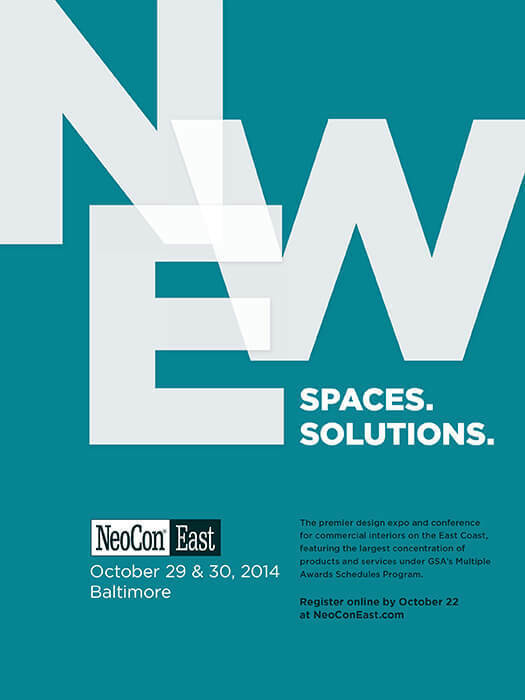 NeoCon East New Spaces. 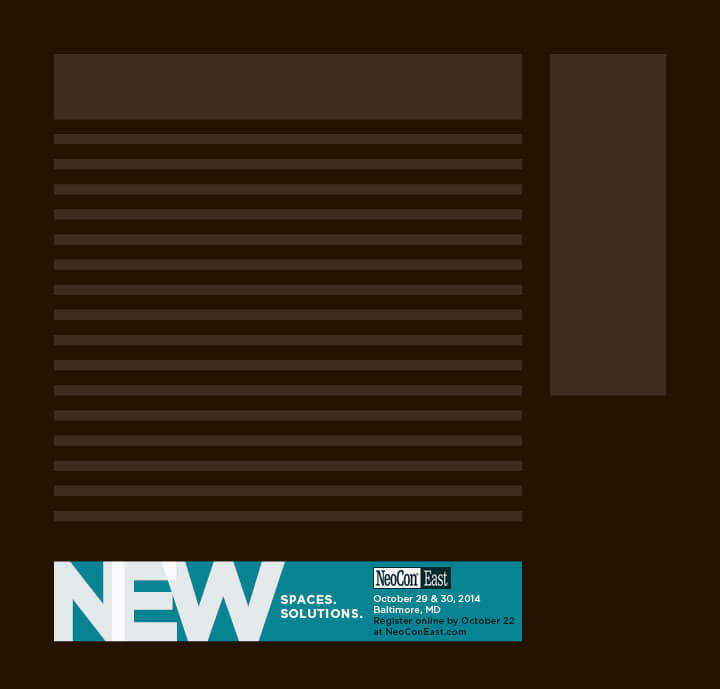 New Solutions. 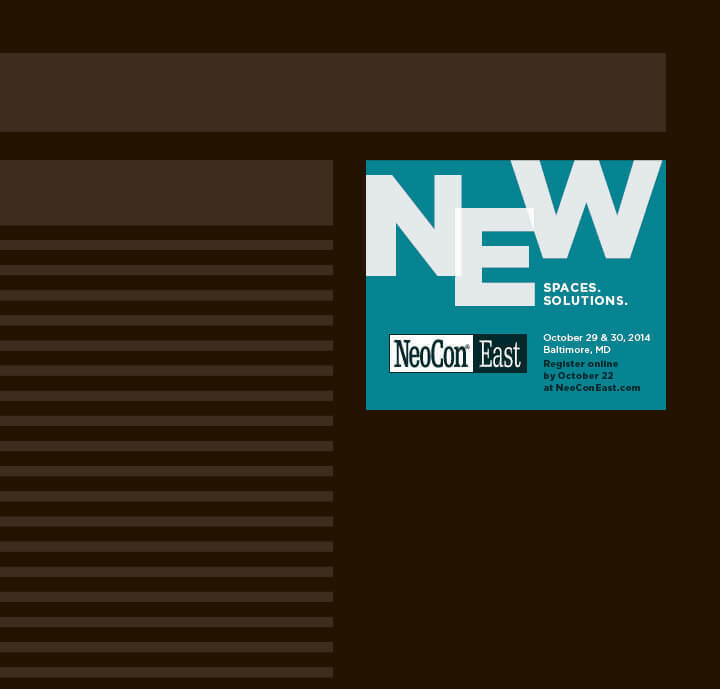 opener New Spaces. 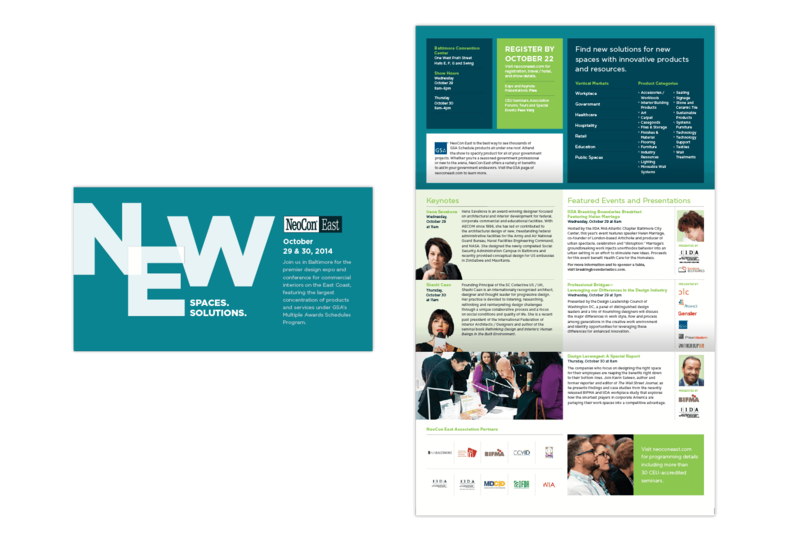 New Solutions. 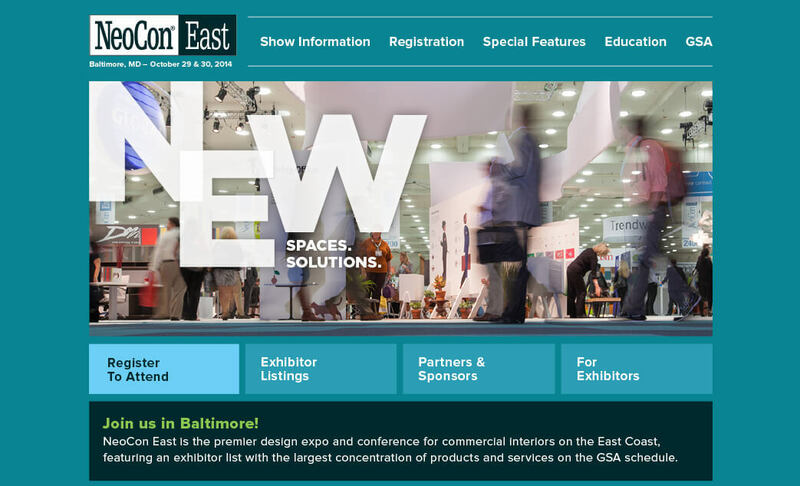 The commercial interiors industry is in a perpetual state of innovation with new products, new spaces, and new solutions. 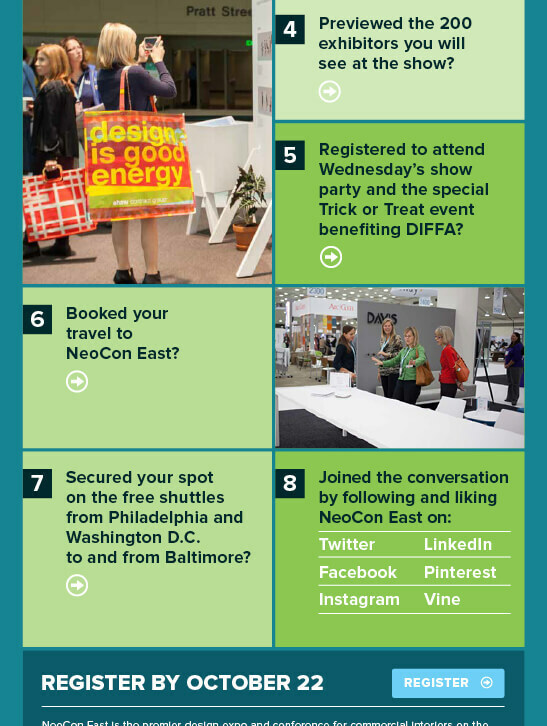 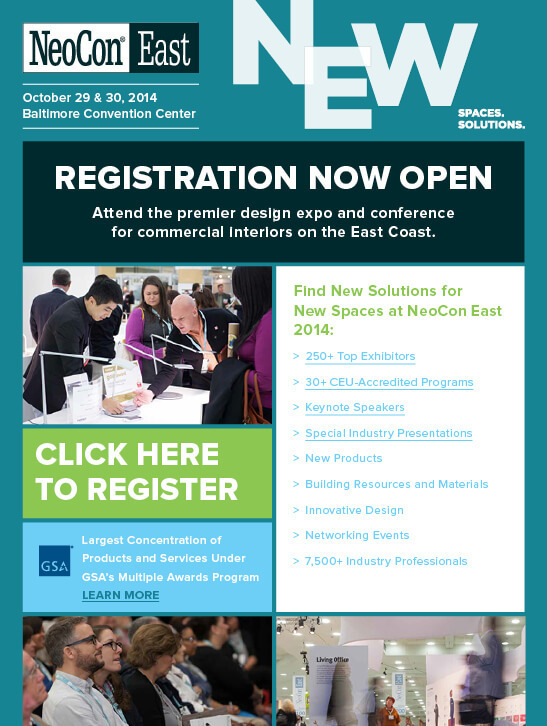 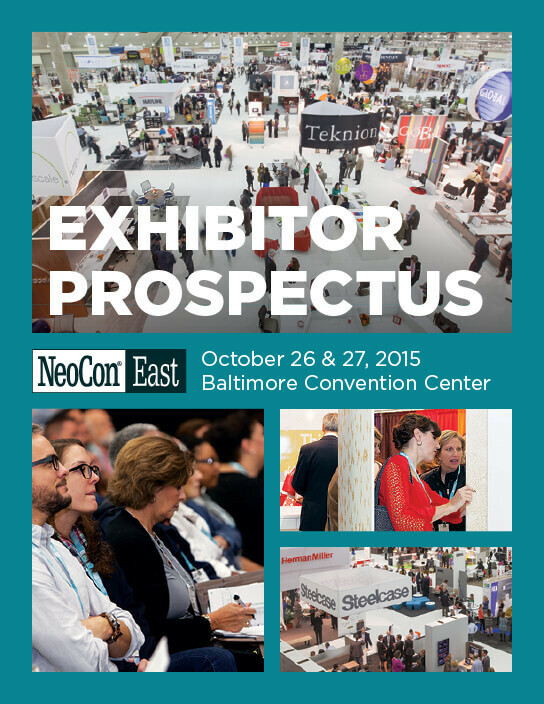 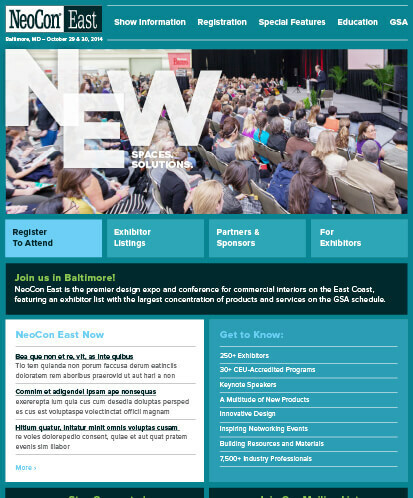 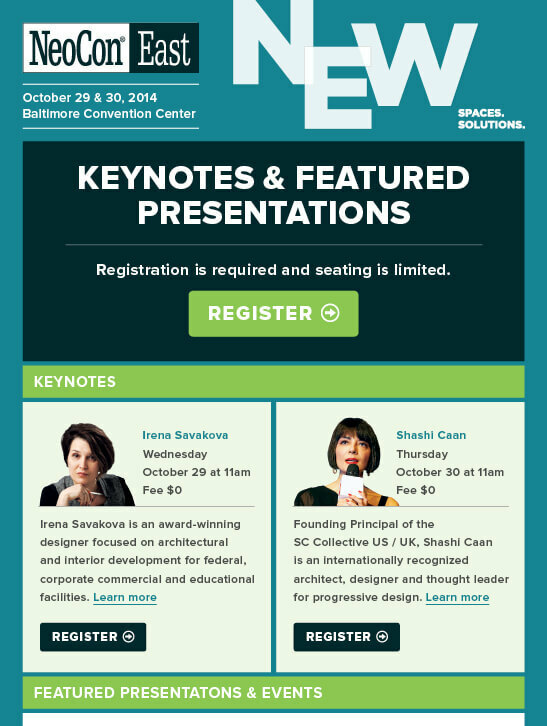 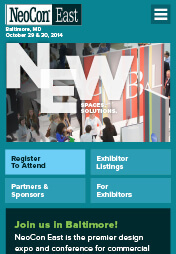 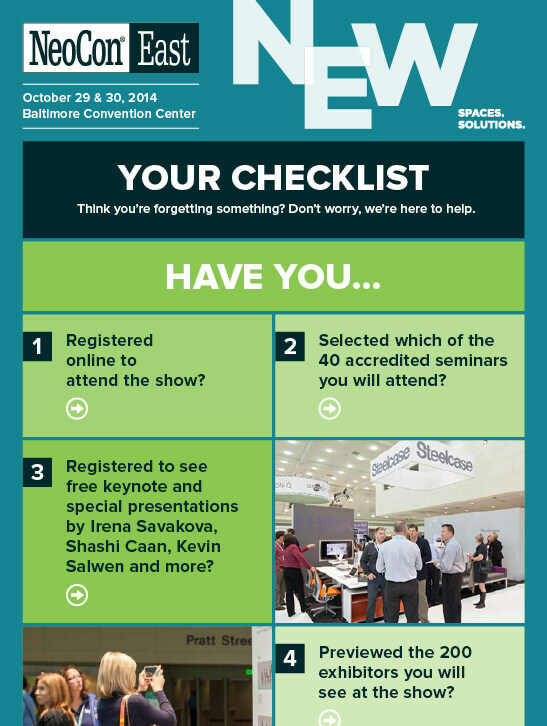 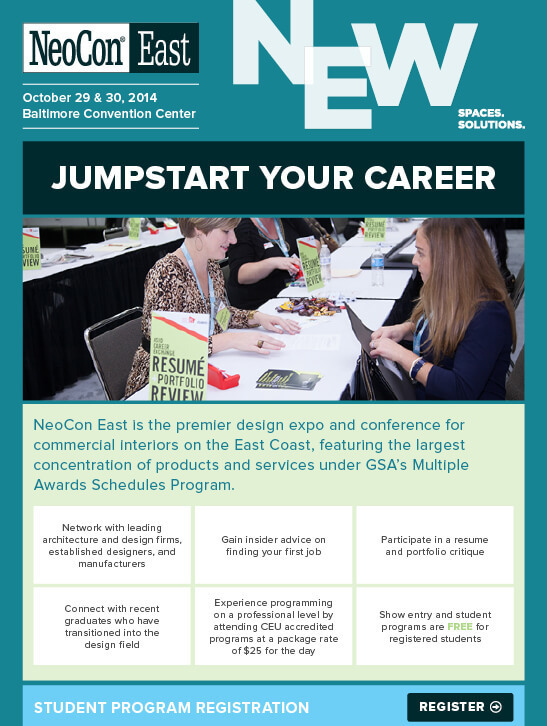 NeoCon East has become the premier east coast expo to showcase these industry-leading ideas. 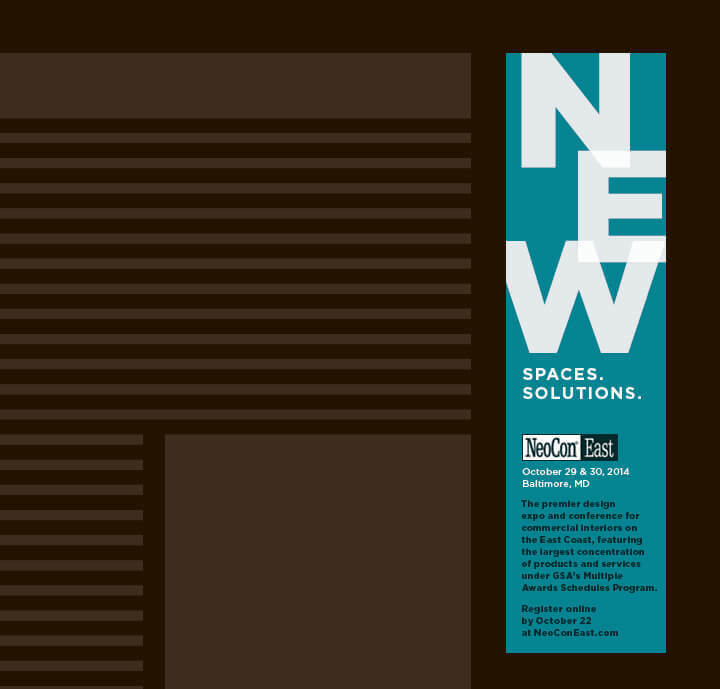 The branding paired a bright color palette with bold overlapping letterforms that spelled out the word “NEW”. 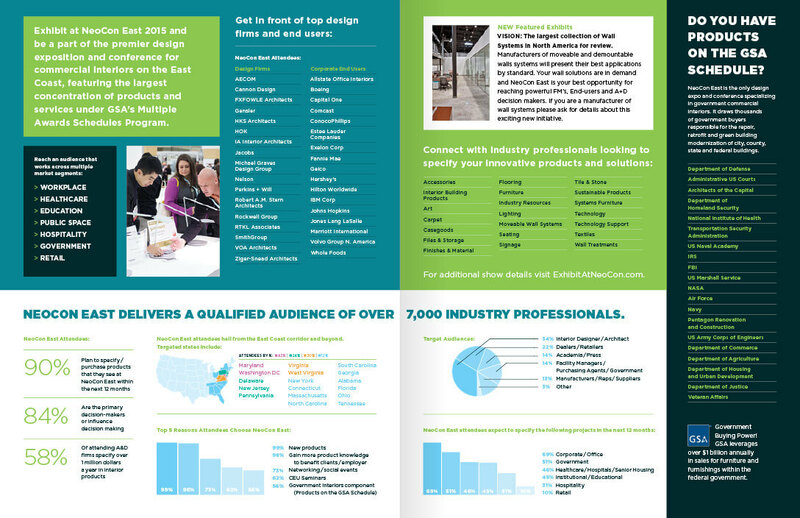 The typographic lock-up was boldly displayed across the advertisements to catch the attention of a potential attendee as they peruse their favorite industry-related periodical.